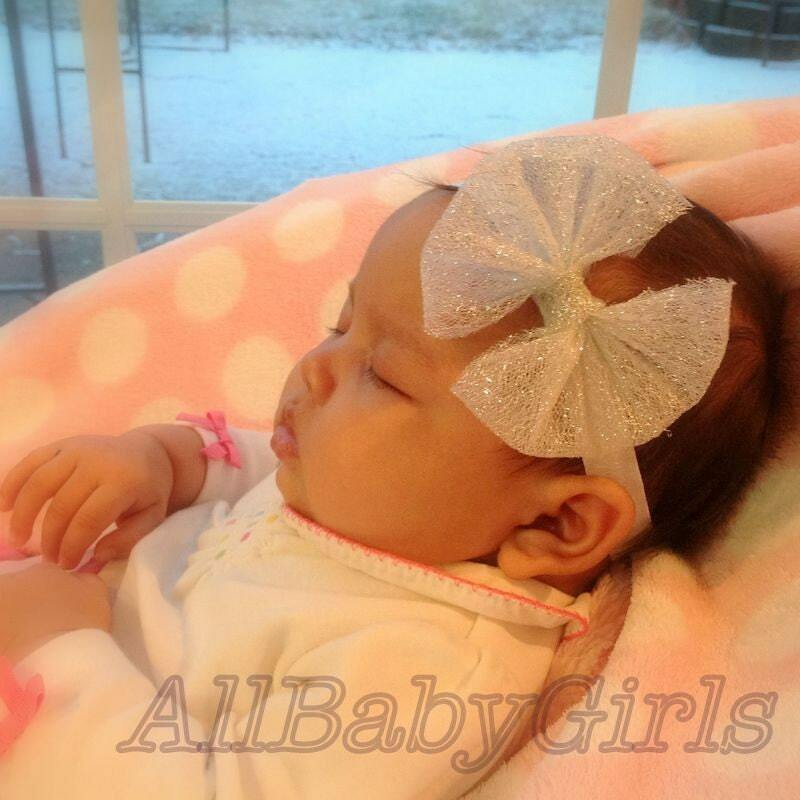 This Astounding Silver Tulle Bow Headband features a 3" silver bow. 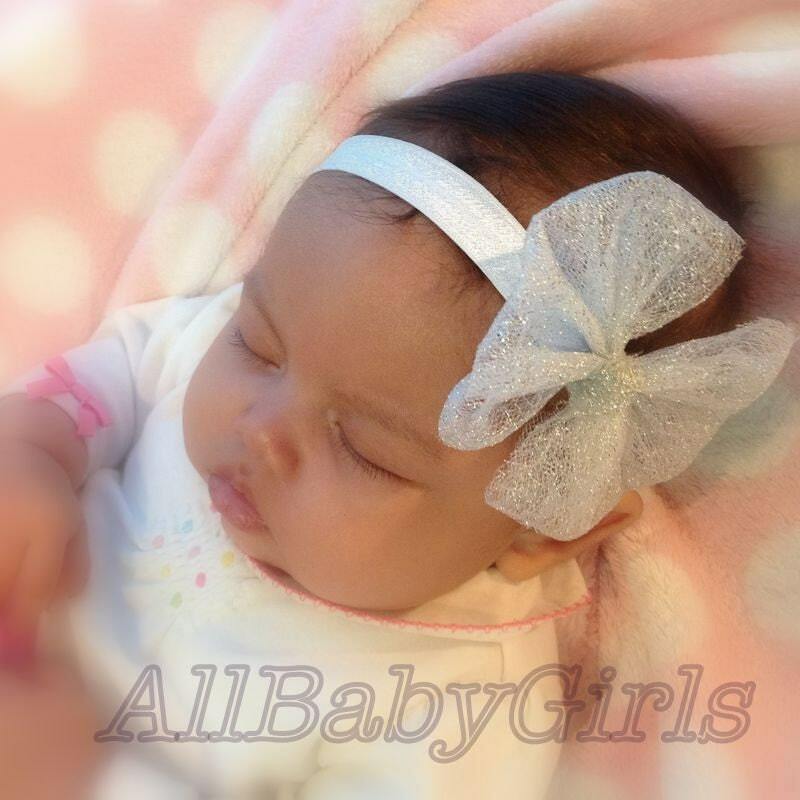 The bow is felt backed for comfort and sits on top of a soft matching elastic headband for a perfect fit. One of the prettiest bows I've ever seen!